A young, fencing mistress devoted to a reformed assassin. A beautiful healer making amends for her past. And a former courtesan madly in love with a psychopath. Meet Kaoru, Megumi and Yumi, the three women who make their mark in Warner Bros.' “Rurouni Kenshin: The Legend Ends,” the final chapter to director Keishi Otomo's blockbuster “Rurouni Kenshin” trilogy. Popular Japanese actress Emi Takei plays Kaoru Kamiya. As the young fencing mistress of the Kamiya Dojo, which she inherited from her father, she teaches the sword as ‘a way of life, rather than of death’. She is strong-willed but also capable of great consideration for others. 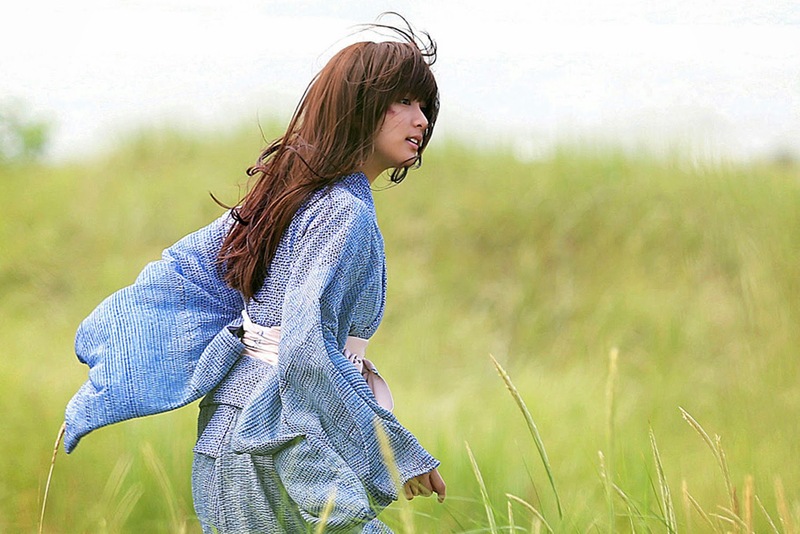 She refuses to ask about hero Kenshin Himura’s past; ‘Everyone has things they don’t want to talk about,’ she says, but she is terrified that Kenshin will return to his old ways, and wants him to keep his vow. Multi-awarded actress Ya Aoi portrays Megumi Takani. A brave, determined, and beautiful physician, the descendant of a long line of doctors whose family was wiped out in the wars accompanying the end of the Shogunate. She began making opium to keep herself alive, but reformed after Kenshin Himura saved her life and now dedicates herself to the service of those in need. 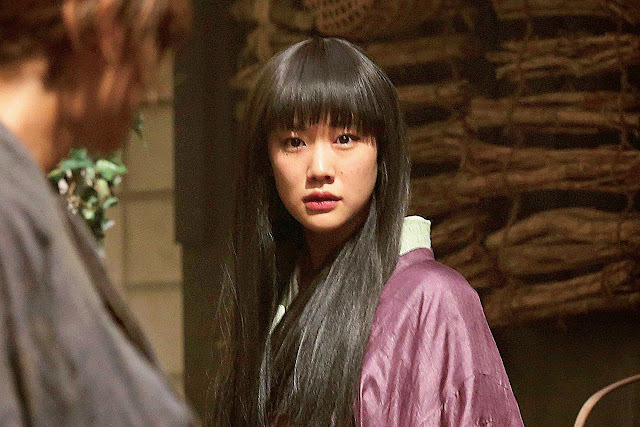 She is enraged when the new government puts pressure on Kenshin to help them by threatening to reopen her past in the opium trade. Filipino-Japanese star Maryjun Takahashi appears as Yumi Komagata. A bewitchingly beautiful woman, deeply in love with Shishio, and always by his side. 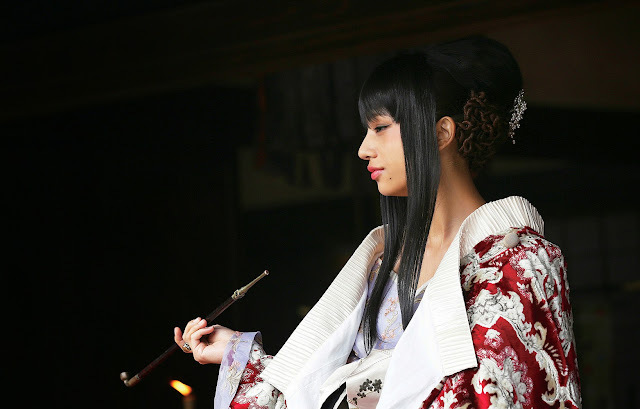 Originally a courtesan in Edo’s Yoshiwara pleasure quarter, she took great pride in her work there, but when the new government, under Western influence, declared the sale of women to be barbaric, she was forced to leave. Declaring the new government to be comprised of sub-human animals, she joined Shishio in his hatred of it. As one of his inner circle she benefits greatly from his care, but in her heart she regrets that she cannot be of more use to him in his battle. The “Rurouni Kenshin” sequels follow the story of Kenshin Himura (Takeru Sato), a legendary swordsman in the wars accompanying the turbulent fall of Japan's Shogunate in the 19th century. Once feared as 'Battosai the Killer', he has adopted a peaceful life since the arrival of the new age. But Makoto Shishio (Tatsuya Fujiwara), the 'Shadow Killer' and successor to Kenshin's position as the deadly assassin, has since then been scheming in the Kyoto underworld, raising an army of disaffected former samurais with the aim of overthrowing the new regime. Opening across the Philippines on Sept. 24, 2014, “Rurouni Kenshin: The Legend Ends” is distributed by Warner Bros. Pictures, a Warner Bros. Entertainment Company.